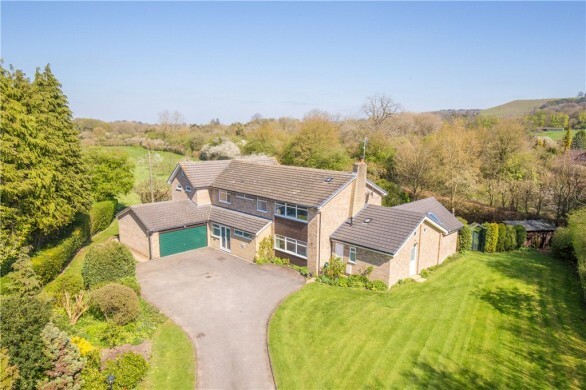 A five double bedroom detached and double fronted character property with a detached double garage, situated in a private position in 5.6 acres of woodland. 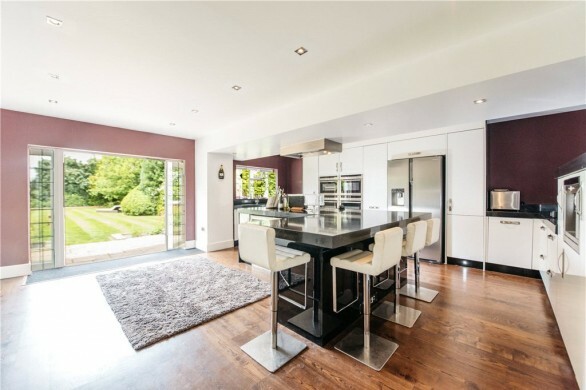 Approached via a private tree lined driveway, this house is situated in a hillside position with open rural views. 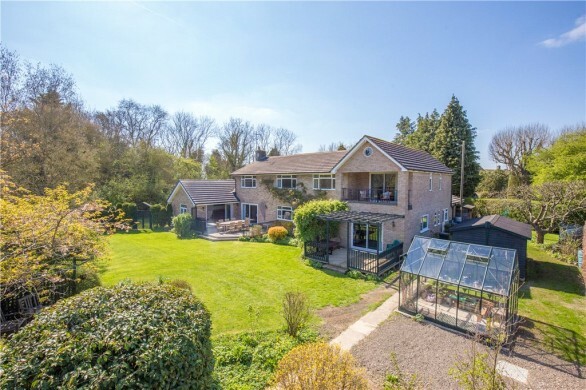 The approximately 5.6 acres of land principally comprises woodland and there are two ponds and a stream. The property is for sale with no upper chain. The front door opens to an entrance lobby which has stairs to the first floor and doors to the sitting room and to the dining room. The dining room has a step down to the kitchen/breakfast room and stairs to the cellar which is currently being used as a further sitting room. The farmhouse style kitchen/breakfast room has a central island which incorporates a breakfast bar and there is a range of storage units and built-in appliances. There are views toward the rear gardens and pond, and a door to the ground floor bedroom. This has windows to the side and front, and a three piece en suite shower room. From the ground floor sitting room a door leads to the utility room, which also has a door and window to the rear, and a further door to a three piece bathroom. A staircase leads from the utility room to the first floor bedrooms. There are four double bedrooms on the first floor, one of which has built-in storage. There is also a four piece family bathroom which includes a separate shower cubicle. The property has a private tree lined woodland approach leading to the detached double garage which has a garden studio adjacent. 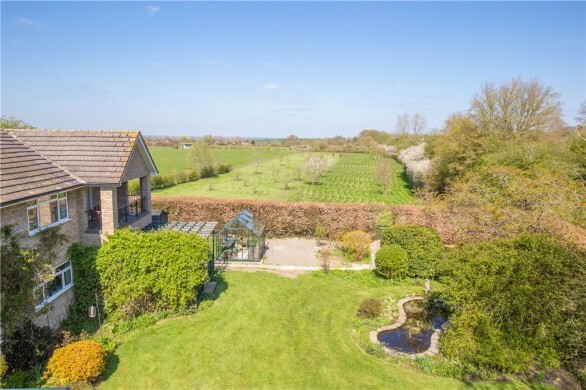 Principally lawned gardens surround the property and overlook open countryside, and the neighbouring land is currently used for equestrian purposes. 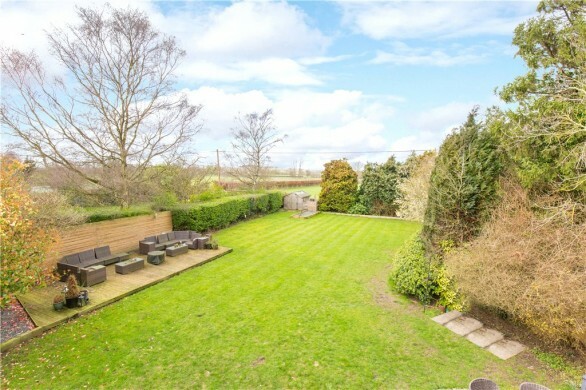 At the front of the property is a landscaped cottage garden with a paved patio area. The rear garden slopes downwards away from the property in a series of terraces which lead to a pond with a woodland backdrop. A stream meanders through the land which becomes increasingly wooded with a number of natural pathways, a further pond and woodland glades. Local amenities - including a village store/post office, and public houses/restaurants - are located in the village of Stone (approximately 1.5 miles). Aylesbury Town Centre (5 miles) has shopping and social facilities, the Waterside Theatre, Aylesbury University and Aylesbury College. 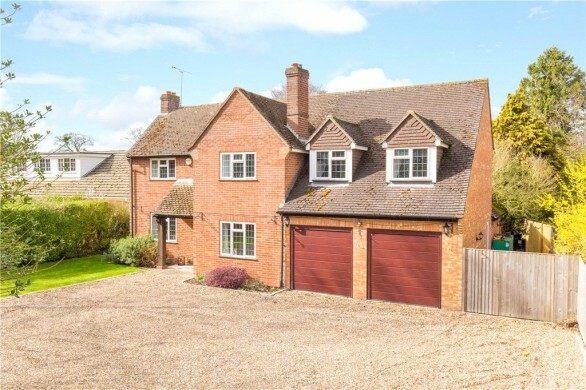 The property is in catchment for Cuddington and Dinton Church of England primary schools. Secondary schools include the grammar schools in Aylesbury, Waddesdon Church of England School, Lord Williams&#039; School in Thame, John Colet School, The Cottesloe School and Sir Thomas Fremantle School.